The Alabama Association of Realtors released some encouraging news today. October sales represent the first positive year-over-year (Oct 09 vs Oct 08) % change at 13.4% since July 2007 (37 months) which was 4.5%. The last time the month of October saw a positive % in sales versus a prior (Oct) was in Oct. 2005 when it was 14.8%. Well the holiday season is officially upon us now in Scenic Fairhope, Alabama. Last Thursday’s “Lighting of the Trees” and Sunday’s “Christmas Open House” were both huge successes and we look forward to a magical time of year. 2009 has been a record breaking year for tourism in Baldwin County and the holiday season looks as though it will continue the trend. The real estate business during the holiday season is typically slow in most areas – but not here. We have a lot of activity this time of year with folks taking the opportunity of a few days off to explore the offerings in the area. And as we all know, there hasn’t been a better environment for buyers in years. So if you have a few days off this season and are considering a move to our area, give us a call and we’ll be glad to work some home or condo shopping in with your traditional Christmas shopping in our charming little town. Since March of 2009 the market has really taken off in the Gulf Shores and Orange Beach condominium markets. Sales had been stagnant for 18-24 months prior, but several large auctions set prices that serious sellers (individuals and banks) realized had to be met in order to move their units. Since then, bottoms have been set in most complexes and once a unit nears that “bottom” number, it typically moves within a few days to a few weeks. The decline has been painful for those who purchased at or near the top of the market, but at least we’ve established values and as we burn through this inventory we should establish some modest appreciation over the next 12-24 months. Consistently ranked among the top retirement locations in the country, I believe that the Eastern Shore of Mobile Bay is one of the best places that I’ve seen to not only retire, but to raise a family. Of course, I may be a little bias due to the fact that I live here and own several businesses in the area – but the pace and quality of life are undeniably attractive for many people. While our market took a hit along with the rest of the country – and a very hard hit on the vacation and water-front properties (40-50%); our residential market is only down around 10-15% and showing signs of life (and possible appreciation for 2010). With the area’s scenic beauty, great public schools and strong sense of community, we’re certainly worth a look if you’re thinking of retiring or relocating. Mobile’s just a few minutes away and growing jobs even in these times. 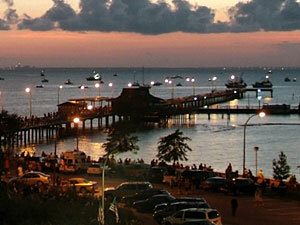 You are currently browsing the Fairhope Realty Group blog archives for November, 2009.